A higher level of motivation often means better results. The more motivated employees are, the more productive they’ll be and the better customer service they can provide. However, it can be tricky to keep your employees happy and motivated when they’re working under demanding environments. Sometimes, all it takes is a little appreciation. It’s usually pretty motivating for employees to be presented with random displays of appreciation. This can include random bonuses, paid vacation leaves, free products, and lunch. It shouldn’t be of any surprise that unexpected but positive gestures of appreciation can leave lasting impressions for employees. They can go a long way in encouraging employees to feel more motivated at work. 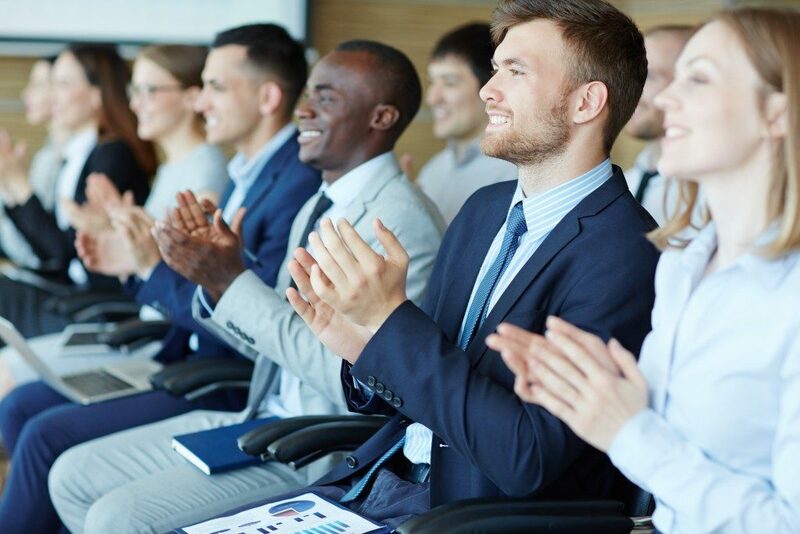 Team events can encourage employee loyalty. It’ll be good for employees to get out of the office every once in a while. They can go on marathon runs, do volunteer work, or celebrate as a team. This way, employees get to take a break from their regular schedules. They’ll bond with their teammates outside of an office setting and this can deepen their team relationships. Getting to know the others on a personal instead of a professional level is a way for them to develop greater trust, empathy, and collaboration. These relationships can be later translated and beneficial in an office setting. A company or team can also host weekly lunches catered by different restaurants. This way, employees get to enjoy free food outside of the office. It can motivate and propel them to work for the rest of the week. It’s also a chance for employees to connect with those from other departments. Business apparel can serve as a reminder to your employees. They’ll get to see the bigger picture and constantly be reminded of their part in an organization working toward a particular goal. These shirts can foster a sense of belonging and unity. Employees will wear company shirts with pride if you’ve been able to cultivate your brand well. It’ll also place responsibility on employees. They’re representing the company when they put on company clothing. Their behavior will likely reflect that and your employees will be more conscious of how they act, especially when out in public. Beyond that, company shirts ensure your employees are easily identifiable and approachable. Customers recognize them immediately and will be comfortable asking for help. Additionally, it’s not too difficult to have a company shirt made. You only need to employ the services of a screen printing business and offer them the design you intend for your shirt. Companies have to recognize that employees have their own personal goals and hobbies. Employees can feel more motivated and uplifted when you support their engagement in these types of activities. You’ll be helping them work toward a better work-life balance, simply by sending them gift cards or words of encouragement. Employees will feel more motivated and enthusiastic when they’re given time and money to further their education. You can do this by providing training opportunities for your staff. They’ll feel encouraged that you’re investing in them, and your company will also benefit from having more capable staff, constantly working to improve their skills.